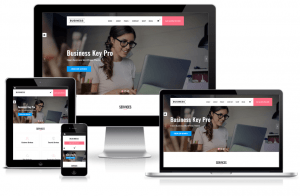 Corporate Club Pro is a beautifully crafted multipurpose WordPress theme. It is clean and utterly user-friendly. Theme is a sophisticated platform for quick development of professional business or corporate websites. It requires no programming knowledge and functionality is pretty intuitive. Packaged with easy one click demo import, it is highly efficient approach for setting up your site. With this theme, you will have a professional, modern, and well-organized layout that focuses on usability. It is also compatible with WooCommerce WordPress plugin. Being responsive, it is easily adaptable to all screens and browsers.